As a General Civil Engineering Contractor our clients have an expectation that we are experienced in the basic works of civil engineering. These various works are combined through the management of NBC to create both simple and complex projects of varying size. We have carried out works of excavation and disposal up to 90,000 m3 in varying conditions, including running sand and silty material. We are fully compliant with waste management requirements through the use of licensed suitable landfill. We have experience of disposal of asbestos as well as highly contaminated materials. 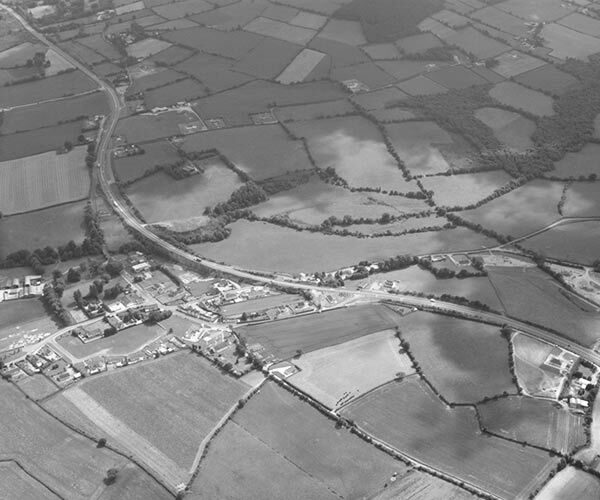 Almost all works of civil engineering require drainage of some shape and size. Our works have included a full range of depths to 5.5 m with all ancillary works including manholes, pump stations, flushing chambers etc. 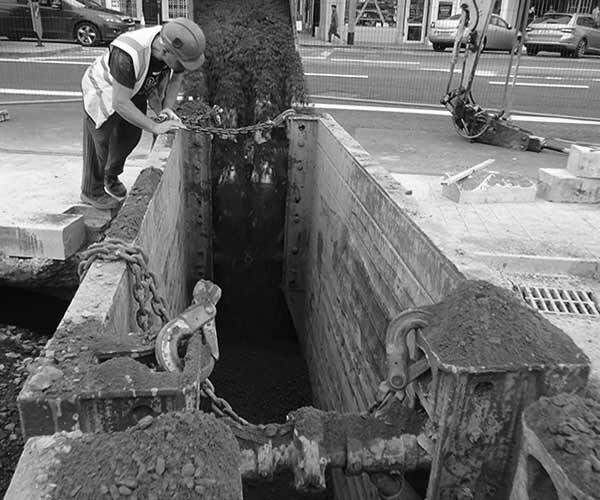 Through the combination of our own safety equipment that includes trench boxes and sheet piles, together with recognising the need for specialist assistance when required, we have conducted all works in a safe manner. We carry out concrete as part of the daily business of civil engineering in all areas and environments. From several hundred cubic metres to minor works of a few kerbs for example we always source our concrete from reputable suppliers and ensure the product is fit for purpose. 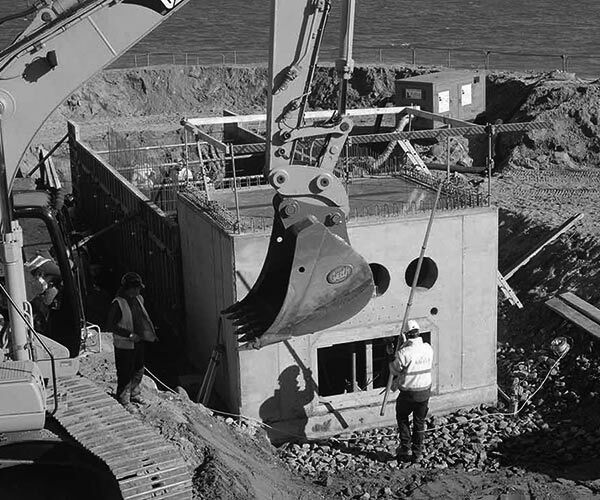 We carry out major works with restricted access as well as concrete in severe marine environments. Temporary works and falsework design are carried out by fully qualified engineers. We have carried out both concrete and steel piling works of various cross section as well as preparing piles for incorporating into works. 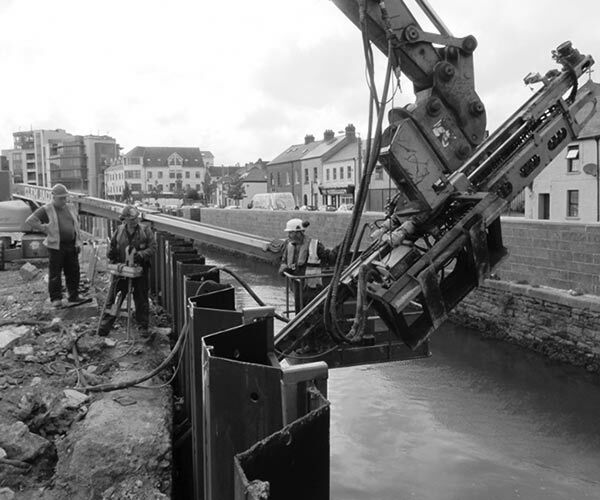 From steel sheet piles nearly 40 metres deep to concrete micro piles and everything in between we engage specialist sub-contractors as required. We work with the same contractors continually as they understand our commitment to safety and quality..
Our primary surfacing options are stone paving, macadam and concrete. Our specialist tarmacadam contractors ensure that all client requirements are met. We have extensive experience in the use of modular paving whether natural stone or precast concrete products. We always give the client the best product for their project as we have no affiliation to any particular supplier. carried out by specialist suppliers who are familiar with the requirement of architectural aesthetics. We work either directly or indirectly through contracts on all services with electrics, telecoms, water, sewer and gas being the main utilities. As an approved contractor for Irish Water we work on all sorts of pipework and co-ordinate disruption to supply with the provider. We have a proven record in giving the utility suppliers their exact requirements to prevent future problems with safety and operation. Throughout our experience we have carried out all types of fencing to varying requirements. From roadside fencing to security fencing incorporating turnstiles we can accommodate any combination into a project. Our landscaping works can include everything from roadside grass verges to highly detailed award winning parks. As part of our works we have had to deal with Japanese Knotweed through our environmental consultant. Many public works contracts contain some element of mechanical and electrical works. We carry out and certify public lighting, pump supply and commissioning, sub-station construction and diversion of cables. It is often a requirement to incorporate building works into a primarily civil engineering project. Whereas these are primarily ancillary buildings such as pump houses and security accommodation, we also have the resources to carry out residential and commercial works. We are registered with BCAR to work within all current regulations.